Goats are medium-sized land mammals found all over the world. There are two broad types of goats: domesticated goats and wild goats. Domesticated goats are found primarily on farms—maybe even one near you! The wild goat, on the other hand, is a widespread species of goat with various breeds found in Europe, all over Asia, and countries in the Middle East. There are over 300 breeds of the domesticated goat. 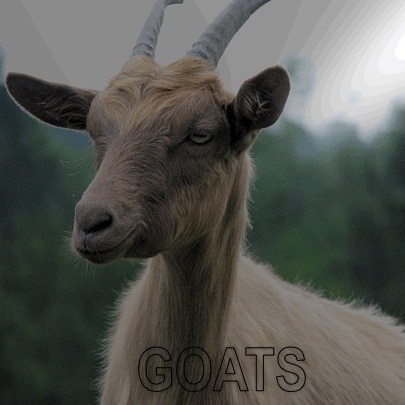 Regardless of type, species, or breed, though, goats are best known for their horns and hooves. Goats are livestock animals, which means that like cows, chickens, and so on, they provide milk, meat, butter, and various cheeses. In the past couple years, goats have become very popular online—with some videos of pygmy goat babies running around racking up millions of views.